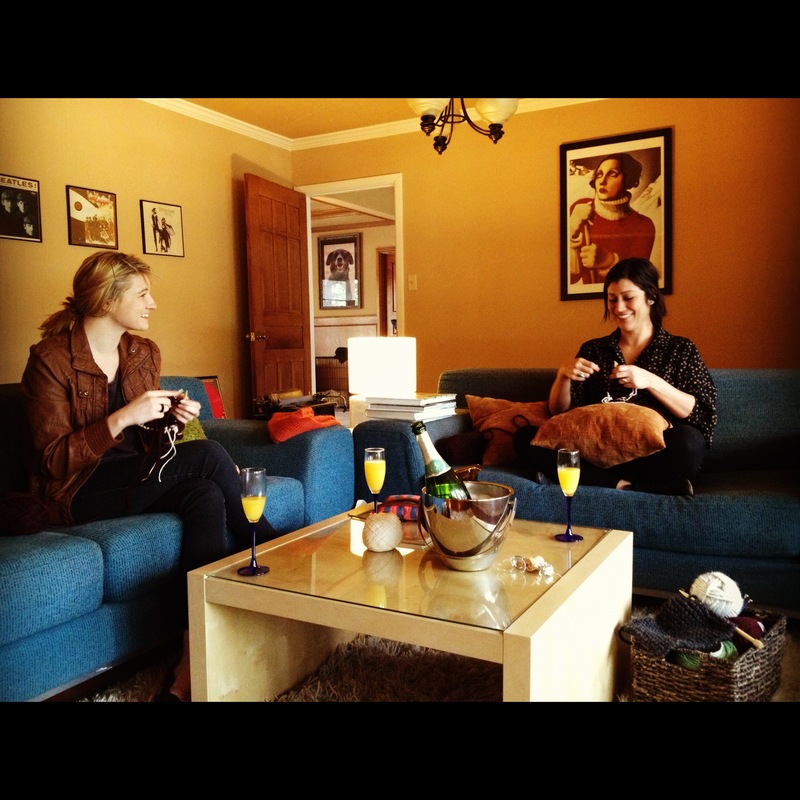 On Sunday I met up with two girlfriends for brunch and knitting. Both ladies know how to knit but wanted to take things beyond just garter stitch, so I suggested my Infinity Cowl pattern as a pretty easy way to learn a new skill (circular knitting) that results in a cute wearable cowl. With our pattern agreed upon, I sent them out to pick out a bulky weight yarn and appropriately sized circular needles, and we giggled at brunch when we realized that they both picked out the exact same yarn in the exact same color! I helped them out with the provisional cast on and then they both quickly took off knitting round after round of stockinette stitch while we enjoyed mimosas and chatted about recipes and painting. It was only after an hour or so that I looked over and noticed that Briana’s circular knitting was twisted and my heart sank as I realized that I must have twisted it when I was joining it in the round for her. Then I proceeded to rip it out and create a huge tangled mess of her yarn. I blame the mimosas…. It was such a fun afternoon with the ladies and we’re planning on meeting up again soon to share in each others progress.